My daughter Clover's 1st birthday is on friday which in our house means, time for a celebratory accessory! I thought about sewing her a Fabric Birthday Crown like the ones I made earlier this year for Craft Apparent but decided it might be fun to work up a sassier, no-sew version that would work well on her smaller head. Since Miss Clo is a little light in the hair department, she (read, I) loves headbands. Enter, the Birthday Crown-Band! To commemorate her big 0-1, I used some hot pink vinyl along with fabric I had left over from her birth announcement collage. Whatever you have laying around your craft stash will do, though! Whip one up in no time flat and let the headgear hilarity begin! Cut out 5"x 10" strips of vinyl, fabric and iron-on adhesive. Following the iron-on adhesive manufacturer's instructions on the package, adhere the wrong sides of fabric and vinyl together. Use a ruler and pen to draw the the points (see below) of the crown on the fabric side of the piece. Cut out. 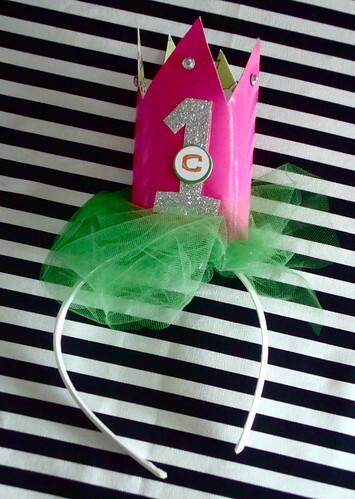 Draw and cut out the number on glitter paper that corresponds with the year your child is celebrating. Glue on to center of vinyl side of piece, Fabric Fusion. 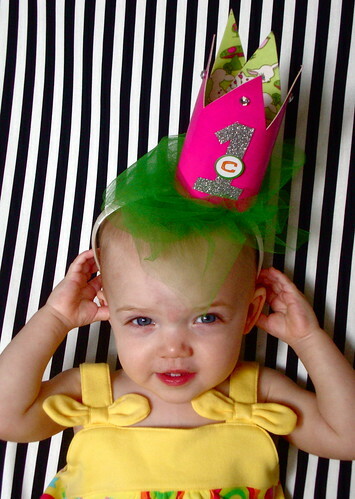 If desired, glue a scrapbooking letter of your child's initial on top of the number. Let dry. 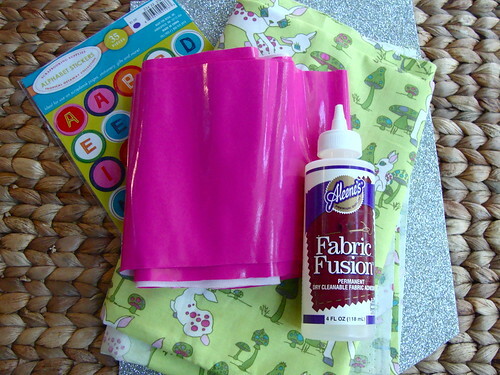 Roll piece into cylinder shape; use Fabric Fusion to glue in place. Let dry. Glue Glam-it-Up Crystals to each crown point. Using hot glue or needle & thread, attach a tulle bunch to headband. Repeat for crown to tulle. Let dry, then let your little royal bask in their birthday glory! I think Miss Clover look just lovely in her new headband. I also wanted to let you know that your daughter looks just like you. She is a real cutie. That was really a nice share.. Thanks.. It was very useful....Super Glue or Cyanoacrylate.